Taste is available to hire for evening events. It is perfect for parties and functions alike whether for a sophisticated birthday meal or a jolly Christmas gathering, with menus for every occasion. Taste also provides an impressive spread for outside catering. Whatever your needs, whether it’s canapés and wines for a girls’ night in, or a deluxe buffet for that special occasion, we can provide for any event, large or small. 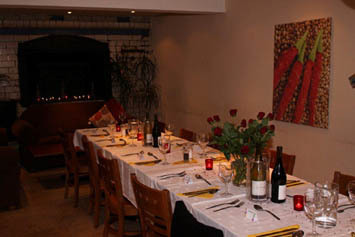 We run our own events too, such as our very popular wine tasting evenings. Check the events calendar on the left and in store for up-coming dates. These lively events create the perfect opportunity to learn more about different styles of wine in a friendly and relaxed atmosphere. Copyright Taste Cafe Deli Linlithgow © 2017. designed by easyonlineweb All Rights Reserved.